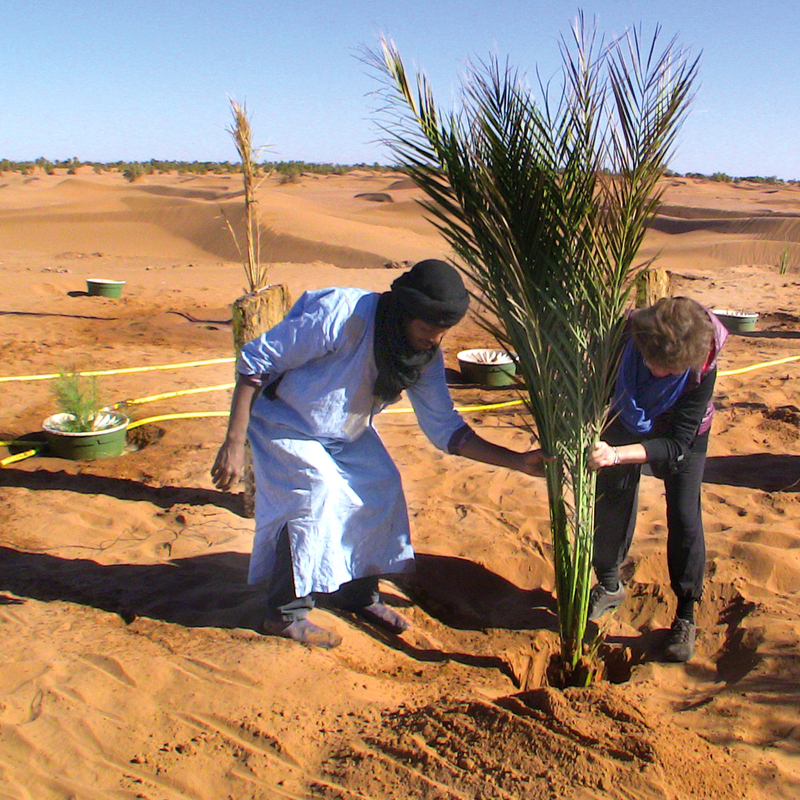 Sahara Roots Foundation » An “Inspirational Journey ” in the Sahara included tree-planting by students from Essence College in the Netherlands. February 2017. 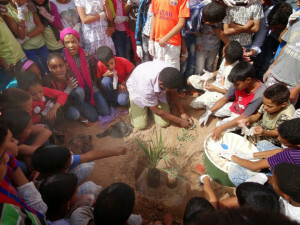 An “Inspirational Journey ” in the Sahara included tree-planting by students from Essence College in the Netherlands. February 2017. For years Sahara Roots has been supported by Essence College: and during this journey we would also plant trees together. It was now time to give something back to Mother Earth and to keep the promise we had made in the Netherlands: to plant trees for all the new students of Essence College in 2016 and 2017. Essence College provides its students with “Mindfulness” training to help find a new balance between their inner and outer worlds. This spiritual journey to the Sahara desert of South Morocco, is part of the 5th year “graduation” program.